Easy walk to harbor area. Main street with bus to train station and museums. Suppose it is livelier when not off-season. The bed was comfortable, although they don't have a hot spring in their hotel, they provide some bath salt to be used in their bathtub. The location is perfect especially for me who arrives Abashiri by bus from the airport. There's a BBQ restaurant (forgot the name) which is excellent and is extremely good value for money in the eastern hokkaido, I gathered. Good location. Central. Clean. Very reasonably priced. Free parking. Restaurant does a good dinner at a very reasonable price and a good option if you're staying in abashiri as impossible to know what you're eating anywhere else. Location was great, next to a 7-11 and other food stores. Room was spacious for a hotel in Japan. Good location. Very comfortable room, nice breakfast. Loved having pyjamas supplied. 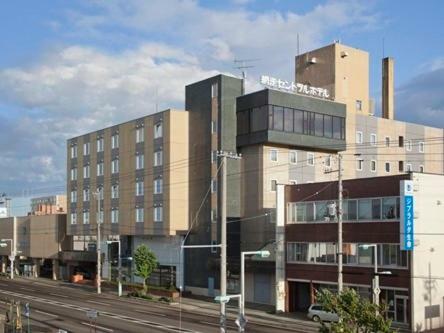 Abashiri Central Hotel This rating is a reflection of how the property compares to the industry standard when it comes to price, facilities and services available. It's based on a self-evaluation by the property. Use this rating to help choose your stay! Featuring a Japanese restaurant, Central Hotel is 300 feet from the Abashiri River and a short walk from Abashiri Bus Terminal. Rooms have free broadband internet and a private bathroom. 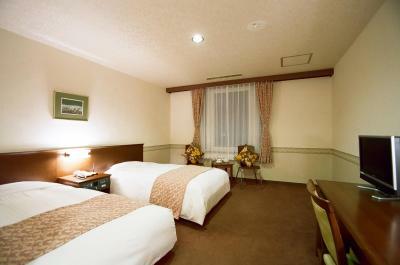 Classical wallpaper and elegant wooden furniture decorate the rooms at Abashiri Central Hotel. 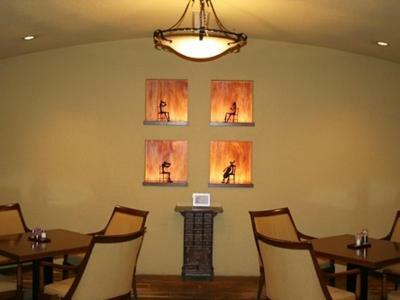 Each room has a fridge and a flat-screen TV with on-demand movies movies. JR Abashiri Train Station is a 15-minute walk from the hotel, and Okhotsk Ryu-Hyo Museum is a 20-minute bus ride away. Free parking is provided. 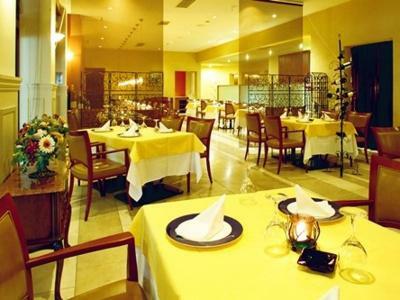 Grand Glacier Restaurant is open all day and serves Japanese and Western favorites made from fresh local ingredients. When would you like to stay at Abashiri Central Hotel? 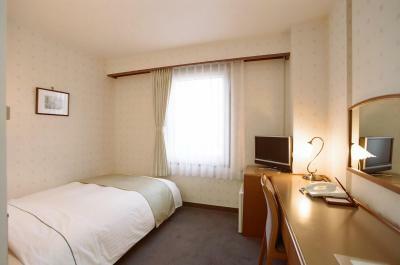 This nonsmoking single room features air conditioning. This single room has a seating area and air conditioning. A small double bed (47 in wide) is provided. 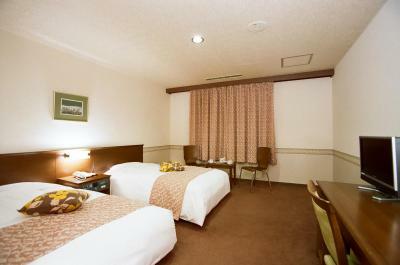 This single room features a flat-screen TV, seating area and air conditioning. A small double bed (47 in wide) is provided. 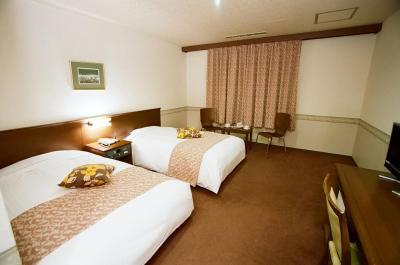 This twin room has air conditioning and seating area. Small double beds (47 in wide) are provided. This room has air conditioning, flat-screen TV and seating area. 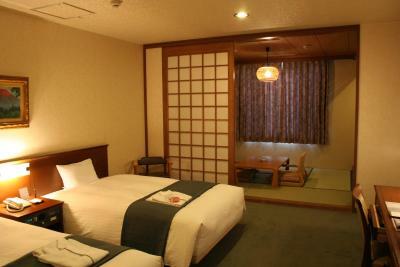 The room features small double Western-style beds (47 in wide) and a tatami (woven-straw) seating area with Japanese futon bedding. Please note the rooms are smoking rooms; however, rooms can be deodorized upon request. House Rules Abashiri Central Hotel takes special requests – add in the next step! Abashiri Central Hotel accepts these cards and reserves the right to temporarily hold an amount prior to arrival. The facilities are a bit dated, but that’s to be expected in a small town in Hokkaido. Great, central location. Clean, spacious rooms. 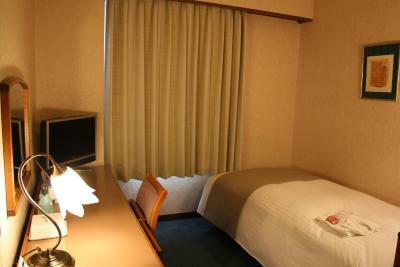 the hotel room is spacious for double bedroom. Rather grim and neglected area; pizza restaurant recommended by staff closed. Air conditioning was hot so we had to endure traffic noise by opening window. One of our rooms which is a single rooms was very small n scantily furnished. Female staff at reception was very helpful. Nothing really. English limited to none but that is the case most places here as it is reasonably remote. It would be nice to have complimentary or cheaper breakfast. The breakfast is 1450 yen and it's more expensive than the hotels with a similar ranking. A bit old. Quite far from Abashiri JR station. Room toilet was very small and the air conditioner was locked to heater mode during winter. Had to set the air purifier to cooling mode and open the window to avoid turning the room into sauna.